Thank you for purchasing the poem! "The pages of this book should be read, digested, and demonstrated. 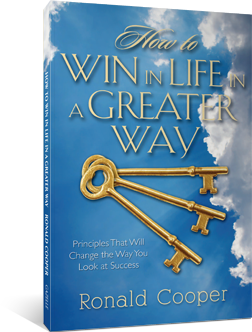 This book contains wisdom for purposeful living." "From the first page to the last page, this book inspires, motivates, encourages, and heightens your awareness to live life with a biblical self- image and a sense of urgency and intentionality. I definitely plan to add it to my book club." "Your ideas are so inspiring and your book very contemplative." ©2012 Ronald Cooper. All Rights Reserved.